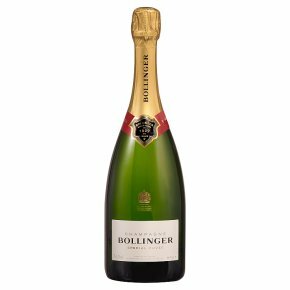 A favourite with our customers, this is full-bodied with the classic breadth of flavour typical of Bollinger. Depending on the blend, a small portion may be stored in old oak barriques and the reserve wines are aged for five to 10 years. Full and rounded with a long, complex finish, it is lovely now but would reward keeping for a year or two. Though it is perfect as an aperitif with canapés it can also be enjoyed on its own or with seafood.